Capture the moment, create the dream…..! ♥ Wedding Video Services are based in Crieff in the heart of Scotland, but are happy to travel to all areas of Scotland including Perth, Dundee, St Andrews, Dunfermline, Stirling, Falkirk, Inverness, Aberdeen, Glasgow, and Edinburgh. ♥ Our aim is to offer you a Wedding Film that you will have forever. We have a simple but professional approach to Filming Weddings, using our 20 years experience to film and edit a very modern Cinematic style wedding video, something that you will want to show to your family and friend around the world. We use a wide range of video equipment, DSLR Cameras with a wide range of lenses along with Drones and Gimbals to produce these stunning films which are filmed in an unobtrusive style. ♥ All our wedding films come with a highlights section showing the best parts of your wedding day, we have used these highlight videos to show you some of the venues we have filmed in, just click on the video button at the top of the page and you will see a list of venues. We are also happy to film small weddings, including elopments in any part of Scotland, and are happy to build a package to suit your personal requirements. We can also recommend wedding supplier in Scotland, including, wedding photographers Scotland, Wedding Cars, Wedding Venue & Wedding Cakes. ♥ All our videos are delivered using our Online Streaming Service, this has become our most popular way of delivering our wedding day films. It’s like watching Netflix, iPlayer or Catch up TV, you can watch your film on Most Smart TVs, Tablets or Smart Phones. DVDs and Blue-ray discs are still available for those that may require them, please ask for a price! Send us a message on our wedding form and we’ll be in touch as soon as we can! Thanks to everyone that took the time to voted for us this year. we are now in the final five! 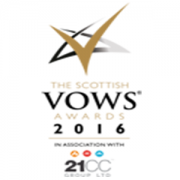 If you feel that the Wedding Video Services Team met your expectations, then please feel free to vote for us! Happy with your Wedding Video! 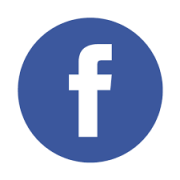 Then please feel free to leave us a review on our Facebook Page! 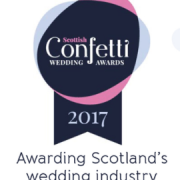 A testimonial is a fantastic way of endorsing our services and product, if you like you can leave us a testimonial on the Scottish Wedding Directory page!